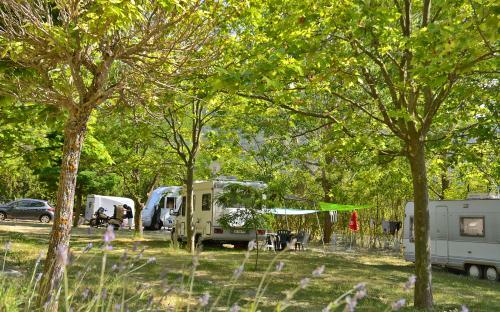 Away from the crowds that flock to the coast and the masses holidaying at campsites in Verdon country, Notre-Dame municipal campsite is perfect for a quiet stay surrounded by nature in a two-and-a-half hectare site 960 metres above sea level, nestled deep between Mont Malay, Mont Brouis and at the foot of Mont Lachens. 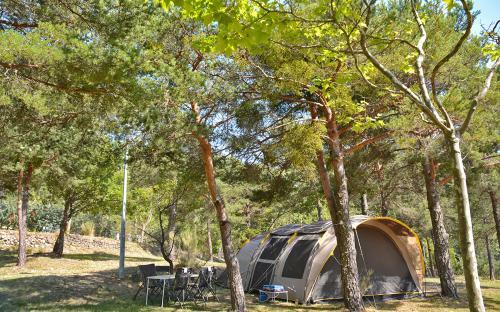 Several types of pitches suitable for tents, caravans and motor homes are available in the lower part of the campsite. Our motor home and caravan pitches, which are numbered and discreetly separated, are located in flat, grassy areas. The average size is between 80 and 100 m². For tents, there is a natural camping area where you can pitch up then park your vehicle nearby. This area is intended for stopover guests. The camping spirit also comes with the required minimum level of comfort. 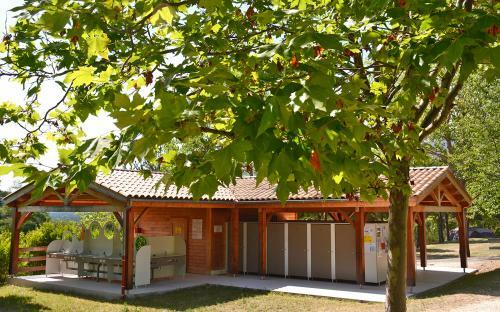 A shower and toilet block with showers, washbasins and toilets is located nearby and includes facilities for people with reduced mobility as well as a family area (with a baby bath and baby shower). Various electric hook-up points (6 A) are available to use if you have a European adapter and an extension lead. Nearby water points are also located throughout the area. We would remind you that the region is located in a high-risk fire zone. Nature is so precious, and we have to protect it. Wood-fire barbecues are not permitted. Electric or gas barbecues may be used. The lower part of the campsite is a shaded area with dry-stone wall terraces. As far as possible, and according to your criteria and availability, we allow you to choose your pitch. We would remind you that in order to respect the tranquillity of all guests, there is no entertainment at the campsite. Various events are, however, organised in the village of La Roque-Esclapon as well as those round about. Every weekend in July and August, a local festival is held in one of the surrounding villages. To pass on details of these events, there's a get-together every Saturday at 18.30 on the terrace at reception for a welcome drink and information about the week's programme.